The Friends of Plean Country Park is a voluntary charitable organisation with the aim to conserve, enhance and promote the park for the benefit of people and the natural environment. It was established by regular park users who care about the place. The Friends group provides a method of communicating with Stirling Council on issues affecting the Park. It exists to effectively promote the views of the Park users, and represent the wide range of user groups within Plean Country Park. The members of the Friends group volunteer their own time, in order to help out on Countryside Action Days, running Health Walk schemes, participating in themed events, and carrying out projects in the Park. All of this activity helps liven up the Park, and provides opportunities for Park users to get involved in a place that they enjoy. We want park users to enjoy the park whether it is for leisure, education, recreation or contemplation and would encourage them to take an interest in the protection and upkeep of the park. 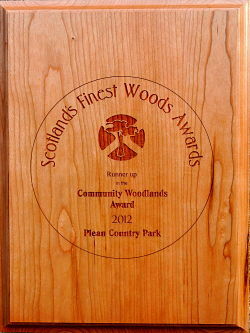 With your help we can make Plean Country Park somewhere to be proud of. There is something for everyone, and everyone is welcome to join in. To register your interest and receive advance information on projects and activities in the Park create an account. If you need further details contact us via the Contacts page.